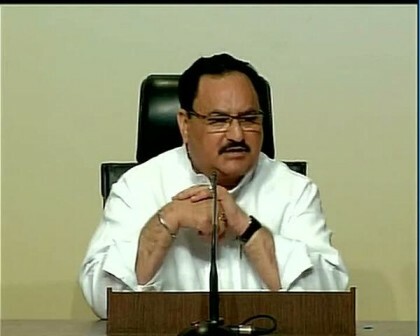 NEW DELHI: Union Health Minister JP Nadda today urged nations to work together and carve out mechanisms of partnerships to reach Sustainable Development Goals (SDGs) even as 22 countries including India pledged to speed up their efforts to end preventable child and maternal deaths. Through the ‘Delhi Declaration’, which was signed at the end of a two-day ‘Global Call to Action Summit 2015’ by health ministers and heads of country delegations from 22 countries, the nations committed to hold themselves accountable to this commitment through a joint platform monitoring. The Health Minister said that community partnerships and accountability of mechanisms are critical to strengthening health systems and also urged nations to align resources to those with the “greatest need”. “We have learnt that we need to work together and carve out mechanisms of partnerships that will help us reach the SDGs. Participating countries should commit to a culture of evidence-based decision-making, strengthen accountability of national health systems and align resources to those with the greatest need,” JP Nadda said on the concluding day of the summit. JP Nadda also said that India will lead the efforts to demonstrate global progress in maternal and child health by working “closely” with global partners to make sure that the post 2015 development agenda will advance the cause of ending preventable child and maternal deaths. SDGs are a proposed set of targets relating to future international development and they will replace the Millennium Development Goals (MDGs) once they expire at the end of 2015. 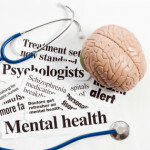 They include a wide range of issues including health. He said that although challenges among nations are common but ways of addressing them will come from investments in strengthening healthcare and orchestrating health reforms. “Providing healthcare is not a mechanical function but an integral part of a universal and transformative sustainable development agenda,” Nadda said while stressing that inclusion is the key to progress and provision of equitable services and universalising access are “pathways to change”. Noting that public-private-partnerships are emerging as “game-changers”, he said that there is a need to take advantage of the support offered by the corporate sector and the industry to better health systems performance and delivery. “Today geographical boundaries are being breached by technological innovations such as mobile telephony and information and communication technologies. So, we need to use technology for maximum good and to broaden the scope of healthcare,” he said. Recognising that health and well-being of women and children in shaping prosperous and sustainable societies is “central”, as per the ‘Delhi Declaration’, the nations commited to “accelerate efforts to end preventable child and maternal deaths”.